Machines with a reputation as the crack cocaine of the gambling word have had their risk reduced by maximum stakes being cut to £2. Gambling “puggies” or fixed odds betting terminals (FOBT) currently allow users to bet up to £100 every 20 seconds. The scale and speed of losses, often to vulnerable gambling addicts, has led campaigners to call for action to stem the damage. The announcement was made by Department for Culture Media and Sport (DCMS) and welcomed by Kevin Stewart MSP who has fought for years for such action. He did so in the wake of reports of a national addiction to the machines, which in one case was so bad it led a North East man to take his own life. The MSP for Aberdeen Central said: “We finally have some progress on tackling these horrendous machines literally dubbed the ‘crack cocaine of gambling’. “Addiction and subsequent debt caused from FOBTs has resulted in tragic consequences and ruined lives as well as taken them. “I hope the news today offers some peace to families devasted by that. “Beyond this long awaited progress though, we must continue to press the UK Government for an outright ban on this machines. 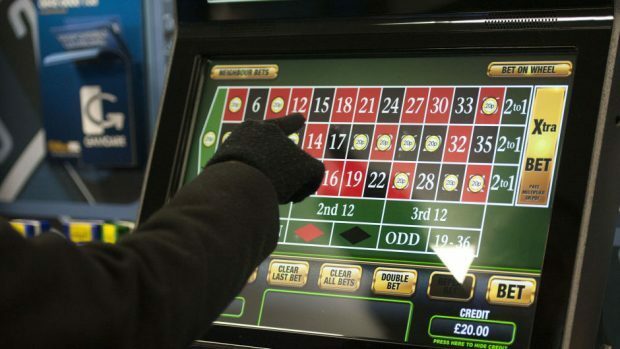 West Aberdeenshire and Kincardine MP Andrew Bowie, who is a DCMS parliamentary private secretary, said he was “proud” the Government was taking a stand against “the scourge of fixed odds betting terminals”. Mr Bowie said. “It is very often the most financially vulnerable people in our communities that are most at risk from these highly addictive machines. “Lowering the maximum bet to £2 will directly benefit people on lower incomes and those living in deprived areas. The announcement was also welcomed by SNP MP Ronnie Cowan, who is vice-chair of the All-Party Parliamentary Group (APPG) on FOBTs. Mr Cowan said: “It’s a step in the right direction to address gambling related harm and to begin to mitigate the number of problem gamblers in the country. “Having heard numerous testimonies and stories from individuals whose lives have been ruined by these machines, it was clear that drastic action must be taken. “But it’s imperative we go further, such as tackling the link between young people and gambling, the prevalence of online gambling and whether it’s time to introduce a compulsory levy for the bookmakers to fund GambleAware and tackling gambling related harm.